UPDATED Friday Nov. 14: Macworld received the following statement from Adobe: "Lyft inaccurately reported that Adobe has partnered with them on Lyft for Work. Adobe currently offers a diverse portfolio of commute alternative programs for its employees; however, Adobe has not entered into a partnership with Lyft and therefore, none of its commute programs include Lyft at this time." The article below has been updated to remove Adobe from the list of Lyft for Work partners. Lyft’s roots are in carpooling, so it’s no surprised that the ride-sharing startup’s latest move is aimed at simplifying your commute. 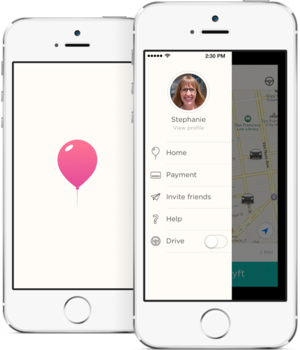 The company already has a carpooling feature called Line, but its new Lyft for Work initiative makes your commute easier by letting your employer foot the bill. Lyft is partnering with 29 companies to launch the new program, which lets employers give their staff Lyft credits to use on their commute. The app uses geofencing to tie credit use to specific locations, like an office or a subway stop. Employers can also institute time restrictions—Stripe, for instance, is covering the cost of rides for employees who are stuck at the office after 8 p.m. The program also covers rides to company events, one-time credits for job candidates, and the Lyft Line carpooling service to “encourage employees to share their commute with other passengers headed in a similar direction,” Lyft said in a Thursday blog post announcing the program. It’s no surprise that Lyft for Work’s early partners are other tech companies: Yelp, Postmates, Thumbtack, and Stripe are already on board. Uber also has a corporate program, Uber for Business, which has seen thousands of businesses sign up for expense accounts since launching in July. Companies create accounts, complete with billing info, and invite employees to join. Instead of dealing with paper receipts, Uber bills the corporate account directly. Uber recently touted the time- and cost-saving benefits compared to taxi and black car services for the companies who have already signed up. And while Uber doesn’t offer the geofencing or time restrictions that Lyft does, the company estimated that just 5 percent of rides taken are “noncompliant,” or rides that shouldn’t be expensed on the company dime. Why this matters: Lyft is much smaller than Uber. Uber has a huge war chest—the company is reportedly looking to raise another billion to bring its value to $25 billion—yet the two transportation tech companies continue to go rounds, matching feature for feature in the battle to win over customers. Enterprise is the next target, and a highly coveted one, because businesses bring in big business.